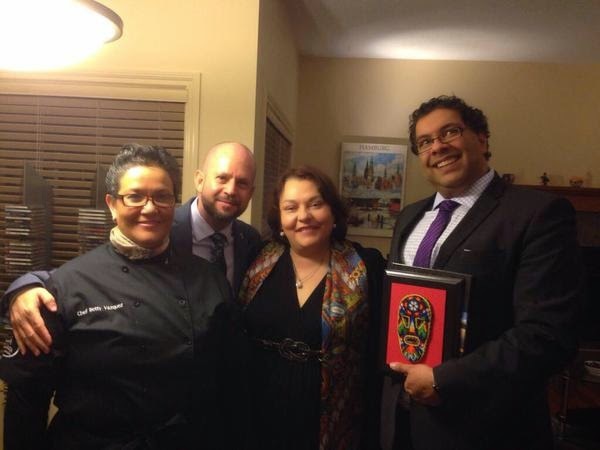 The destination was present in the events that took place during the cultural weeks named “Mexico Days: Enriching Our Vision;” the Riviera Nayarit and Chef Betty Vázquez were the guests of honor by invitation of the Mexican Consulate in Calgary and the MTB. The Mexican Consulate in Calgary and the Mexico Tourism Board (MTB) recently celebrated Calgary’s “Mexico Days: Enriching Our Vision” events, where the Riviera Nayarit was the guest of honor along with the destination’s culinary ambassador, Chef Betty Vázquez. The festivities lasted from November 24th through December 4th. The first week revolved around photography exhibits of Mexico held at the Calgary University and Huichol exhibits held at the Consulate facilities. Another three events were held during the second week, where the Riviera Nayarit’s bounty held court and the main attraction was Chef Betty Vázquez, who wowed the palates of the VIPs with her exquisite dishes. Also present were products from Nayarit including Salsa Huichol and Casa Madero. The main hostess was Cecilia Villanueva, the Mexican consul in Calgary; Rodrigo Esponda, North American Director for the MTB and Rodrigo Acosta, the MTB’s Adjunct Director of Western Canada were also in attendance. The Calgary Petroleum Club and The Ranchmen’s Club hosted two public events attended by a mixture of press, tourism industry representatives, businesspeople, members of the diplomatic community and West Jet executives. The events ended with a private dinner at the Consulate, where Calgary Mayor Naheed Nenshi took part in the activities alongside members of the aviation industry, the university, the airport authorities and representatives from the economic development sector.